From $133.17/mth on Payment Plan What's this? The following instalment plan options are available: $399.50/mo for 2 months* $266.33/mo for 3 months* $199.75/mo for 4 months* $159.80/mo for 5 months* $133.17/mo for 6 months* * PLEASE NOTE: The amounts are indicative. Shipping costs and applicable taxes will be added and Weta Dollars and discounts deducted before the final instalments are calculated. You will have the option to pay off early if you should change your mind. SOLD OUT - The full edition has now been purchased. Earn 39.95 Weta Dollars! What's this? 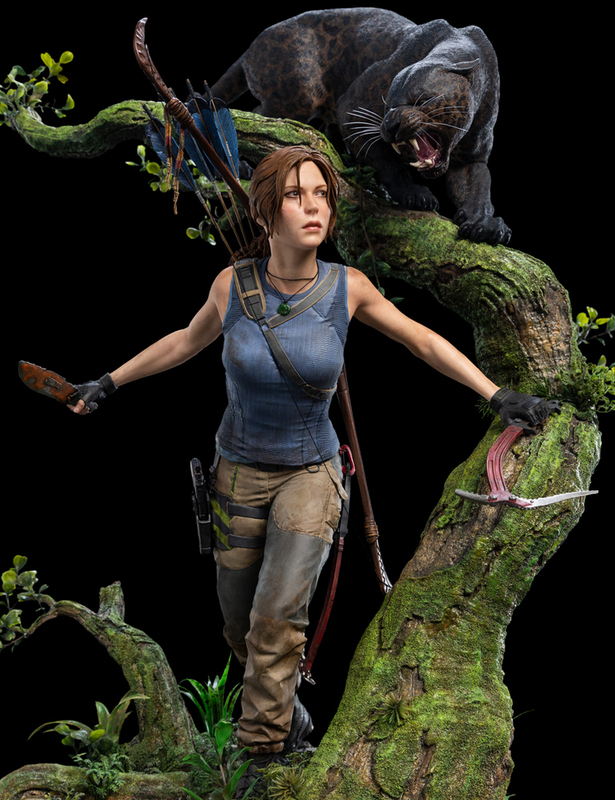 Selling over 66 million copies worldwide, the critically acclaimed Tomb Raider franchise is an action adventure video game phenomenon, starring one of game culture’s most iconic characters: Lara Croft. 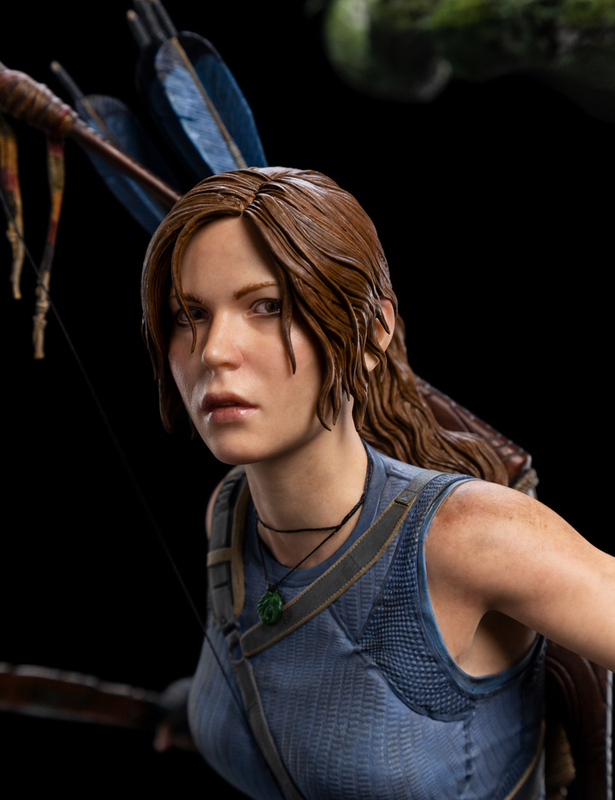 Weta Workshop is stepping into Lara’s world, partnering with game publisher Square Enix to create incredible statues and prop replicas from Shadow of the Tomb Raider. 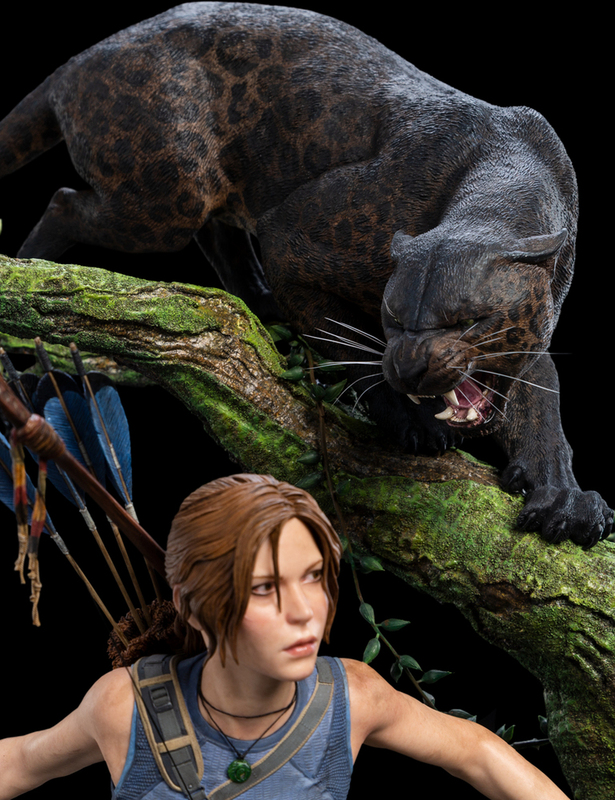 The imminent showdown with the jaguar catches Lara unaware. 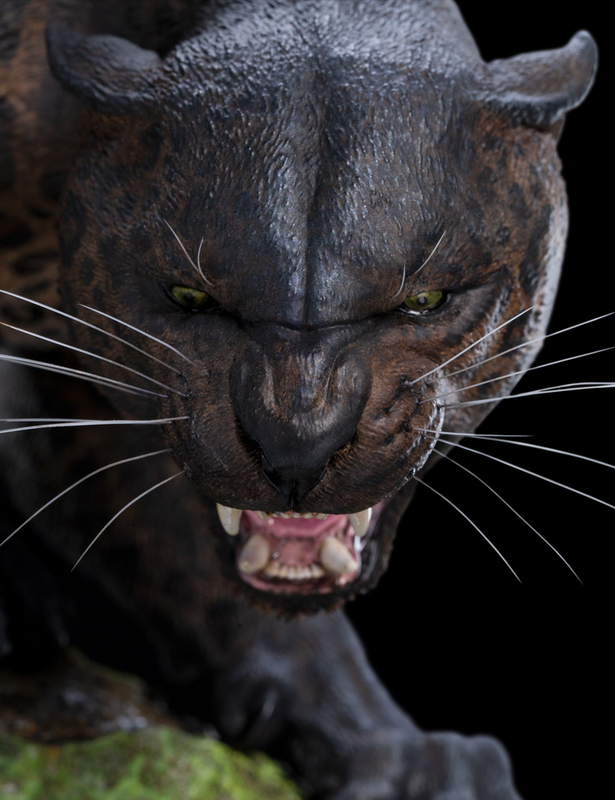 She is struck with the epiphany that she must become like the jaguar to stay alive. 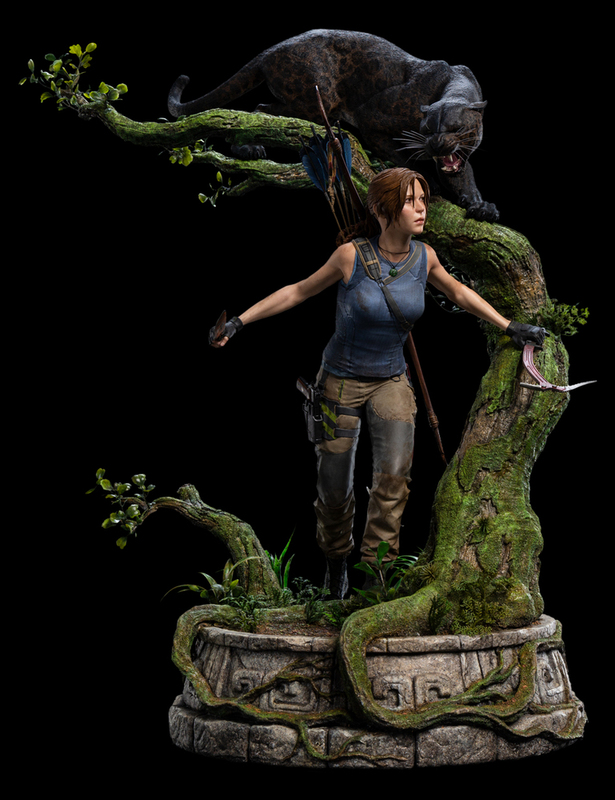 With stealth, Lara must stalk through the undergrowth, attack abruptly then disappear like the predator. 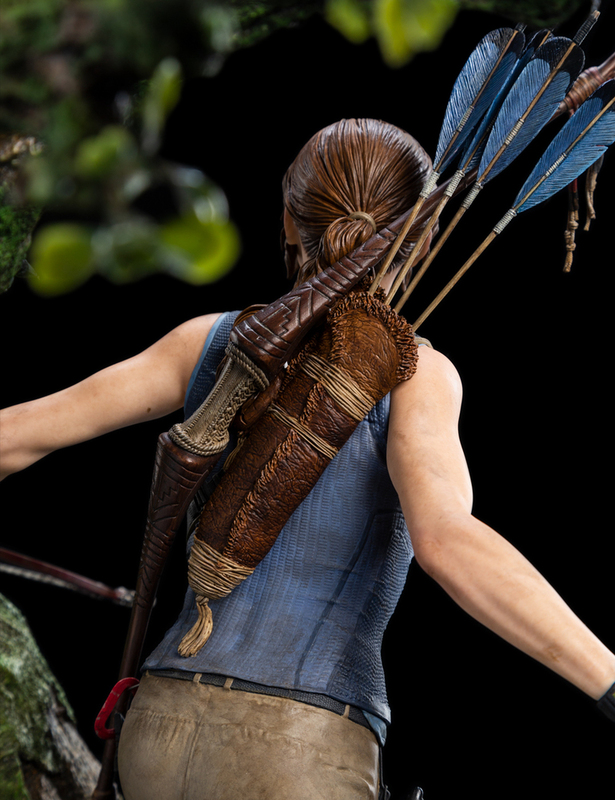 Lara Croft’s arsenal increases her odds of survival. Seen here with her signature bow and arrow, twin climbing axes and pistol. 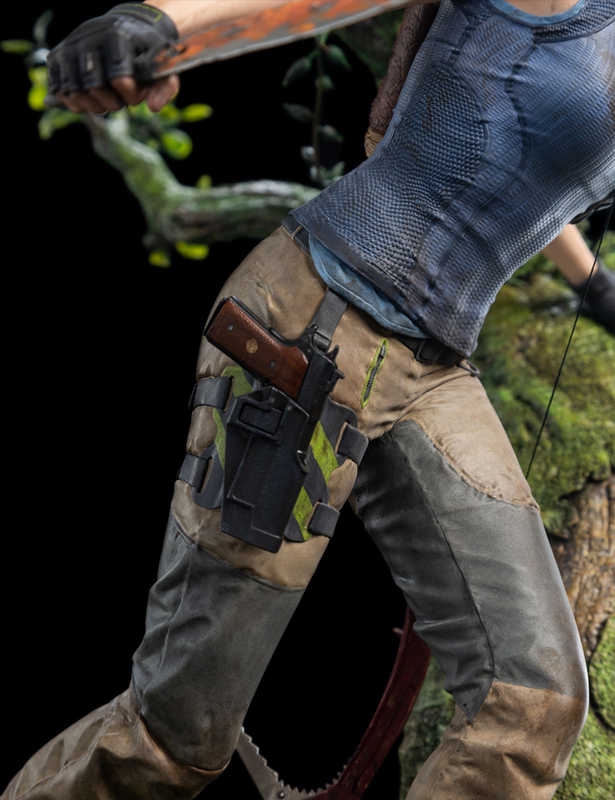 Lara can strike from afar or up close and personal with the weapons at her disposal. And yet, the jungle is unforgiving. 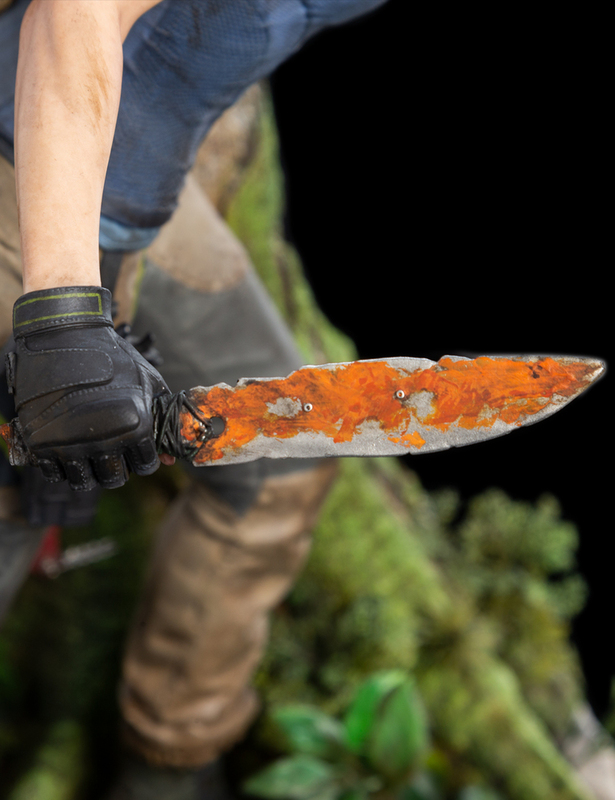 This highly-detailed sculpt bears all the telltale signs of Lara’s battles: scarred cheek, muddied clothing and rusty machete. 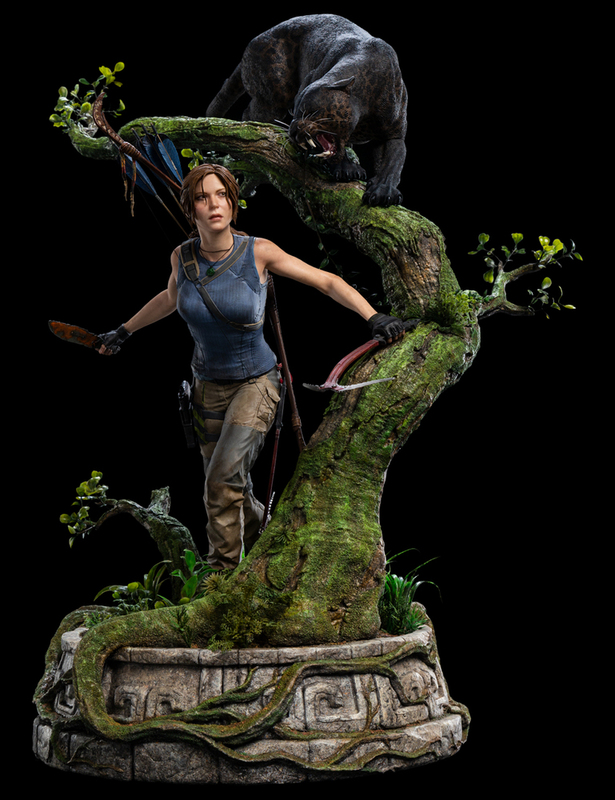 I fondly recall staying up far too late playing the original Tomb Raider game into the small hours, so it was a delight to revisit Lara Croft two decades later to dream up pose ideas for this statue. 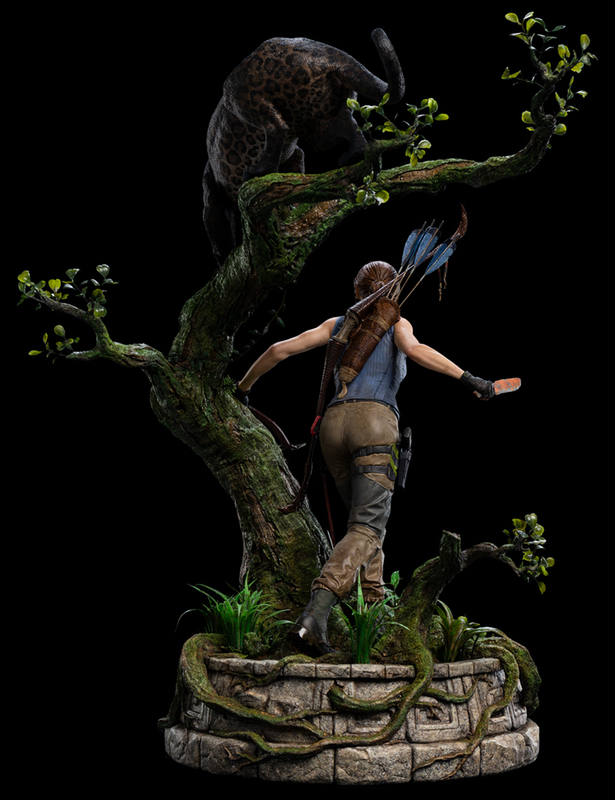 Lara is the fearless badass we all wish we were! 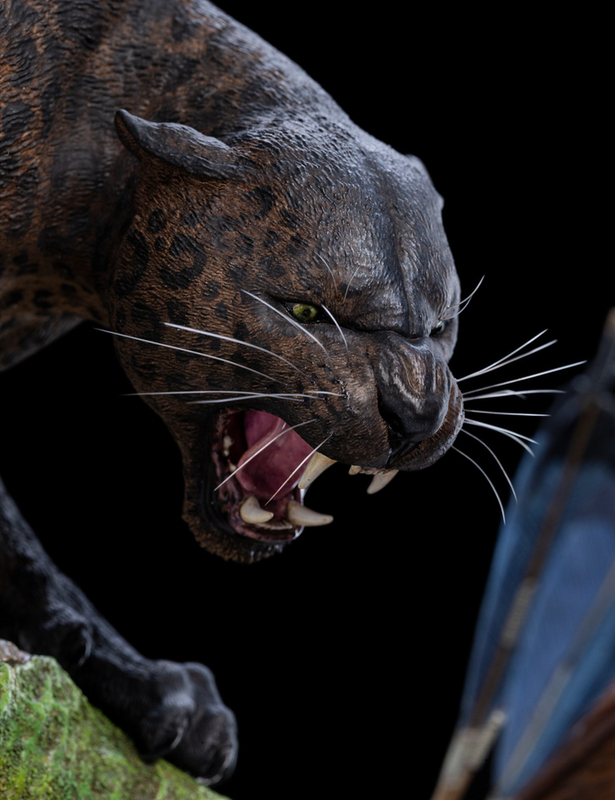 Weta Workshop’s exclusive range of Shadow of the Tomb Raider collectibles was revealed for the first time at San Diego Comic-Con 2018. As the star attraction, Lara Croft quickly drew a crowd of cosplayers and pop culture fans eager to own a piece of the highly anticipated game. 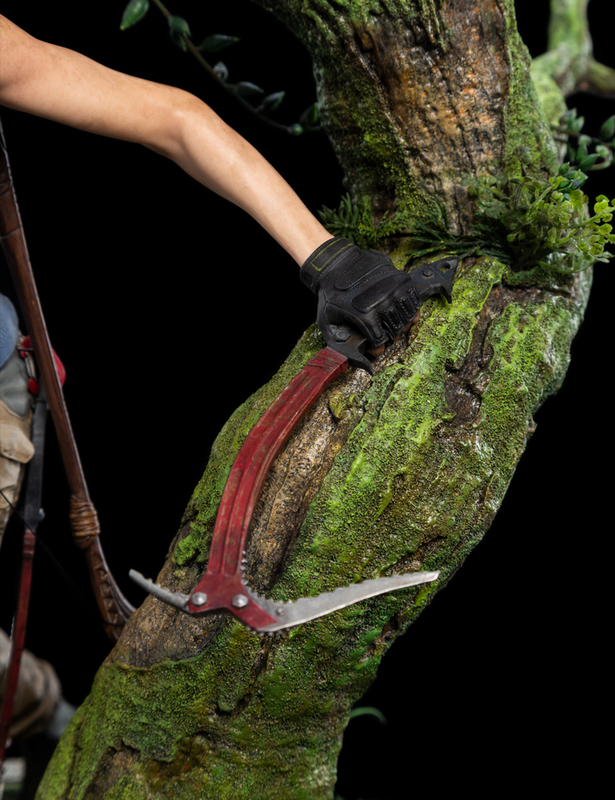 Please note: The collectible is based on the height of Lara Croft’s in-game model in the Shadow of the Tomb Raider game. Images are of a pre-production prototype. Each statue is painted by hand and slight variations will occur.